Perfect for your next wine night or everyday household display! Bouquet design allows bottles to be positioned neck up or neck down. 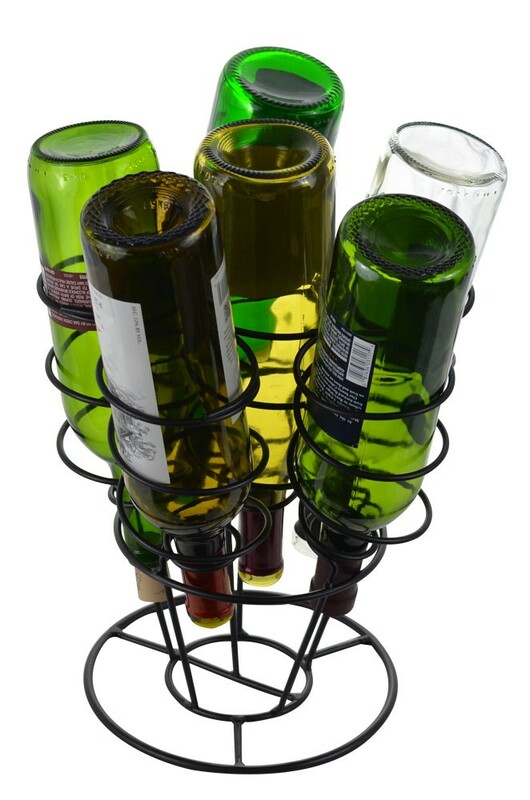 This stylish and elegant wine rack is made of sturdy metal construction and is the perfect display for your bar, table, or kitchen. The 6 bottle holder is a great solution to help maximize your countertop or cabinet space. This rack is designed to be able to position the bottles neck up or neck down, whichever is preferred to show off your favorite wine choices. Rack is 10.25 inches tall and 10.5 inches at its widest diameter and holds up to 6 bottles of wine. The inner dimensions of each wine holder ring are 3.125 inches.